View two experts discussing a theoretical patient with R/R AML who received IDHIFA and outcomes from the IDHIFA pivotal trial. Dr Hetty Carraway and Dr Daniel A Pollyea have been paid by Celgene to participate in this video. Dr Hetty Carraway is an Associate Professor of Medicine at the Cleveland Clinic. Dr Daniel A Pollyea is an Associate Professor of Medicine and Clinical Director of Leukemia Services, Division of Hematology at the University of Colorado School of Medicine. 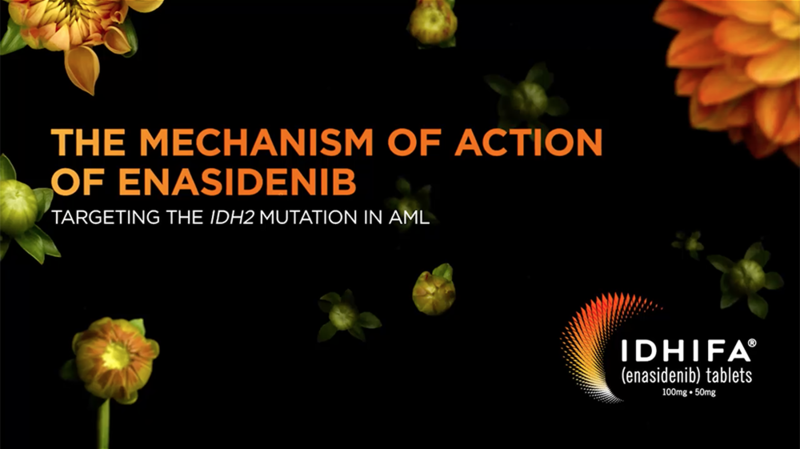 Explore important topics in managing patients with R/R AML and an IDH2 mutation receiving IDHIFA, including diagnosing and treating differentiation syndrome and other adverse events. Dr Erba is a paid consultant for Celgene.